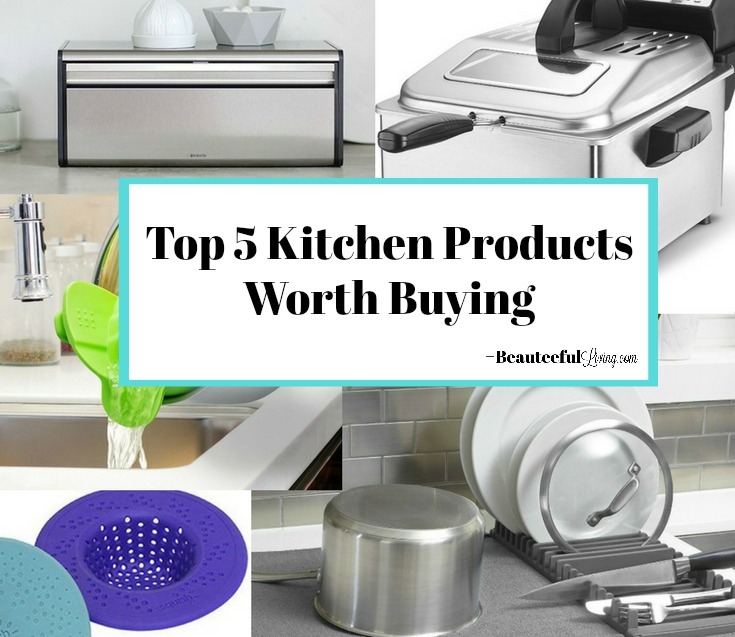 On the blog today, I’m kicking off 2018’s “Beauteeful Finds” with my Top 5 Kitchen Products Worth Buying. About 4 years ago, I ordered my very first bread box . I like to keep my kitchen counters as clear as possible so having this bread box has been a big help in that area. 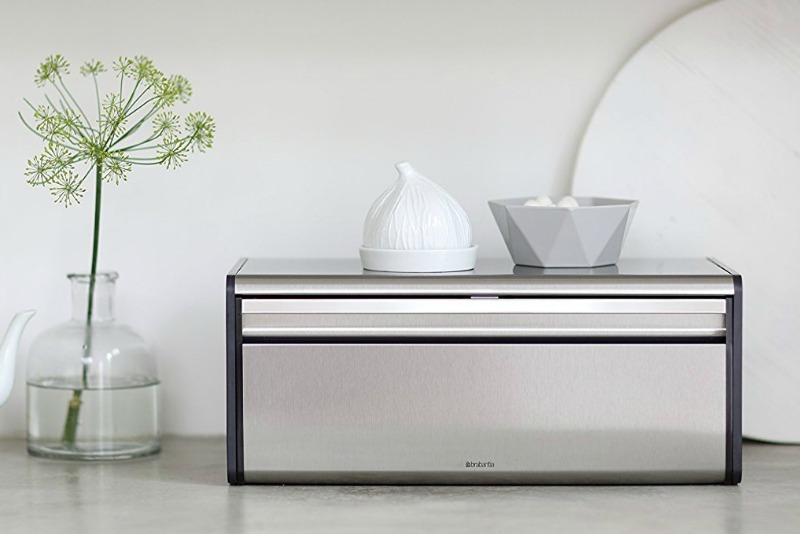 Unable to find a bread box that I liked in stores, I started searching online and found this modern-looking bread box by Brabantia. 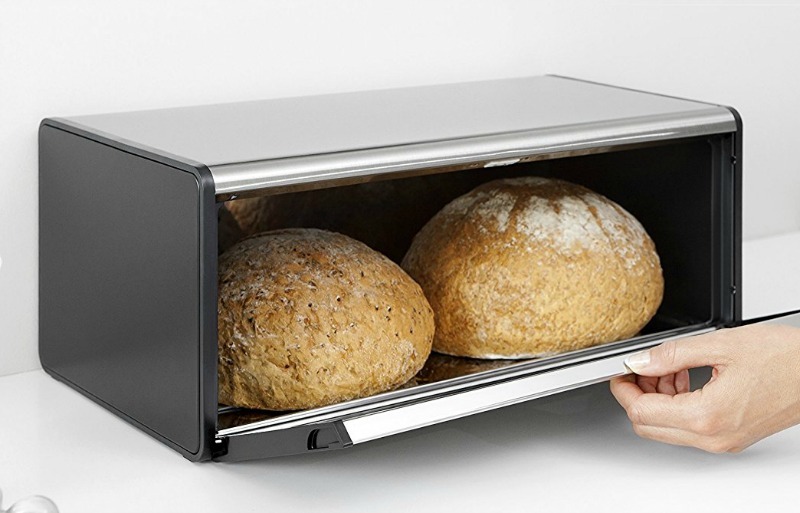 Admittedly, I was first drawn to this bread box because of its sleek modern design. It looks great on my counter and I’m happy to report that this bread box holds a good amount of items! Not only am I able to store a loaf of bread inside, I’m also able to store a bag of bagels and even English McMuffins. Yep – all 3 items can fit inside! Here’s how the bread box looks on my kitchen counter. Years later, I still have no complaints! Not only do my baked goods stay fresh longer, they are neatly stored and out of view. I love how the exterior finish is durable, corrosion-resistant and fingerprint resistant. No smudges – yes! Anyway, doing dishes entails the need of a dish rack which I loathed but tolerated until I recently discovered Umbra’s dish mat and rack holder . Instead of just having the absorbent mats, this upgraded version also has a plastic rack that can be positioned in the middle or at the end. No more having to stack plates on top of one another on the mat. 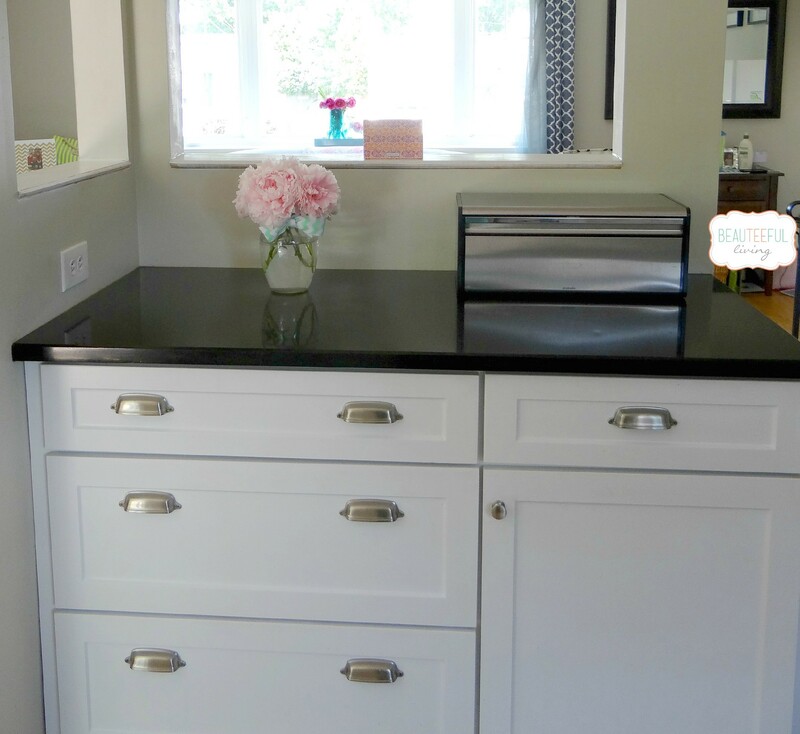 I love that this product takes up way less counter space, plus it can easily be stored away when not in use! My husband recently received this deep fryer as a gift and so far, we’ve fried chicken wings, potato wedges, and empanadas using this device. Everything came out very crispy and tasty! Best part is not having to clean up an oily stove-top! Replace those hard to clean metal mesh strainers with something much easier to clean. I said goodbye to my metal strainer last week and don’t intend to go back! I love that the stopper for this sink strainer has a suction cup so the stopper can stick on your sink when not in use! You can read more about it HERE . This clip-on silicone strainer fits all pots and bowls. If you’re simply trying to strain liquid from your pot, why not use this clip-on instead of having to transfer your food into a colander? Cleaning this strainer is much simpler than a traditional colander. Throwing this silicone strainer into a dishwasher will take up much less space as well! It’s all about SIMPLICITY right? If you missed my previous post on why simplicity is my word of the year, catch up here. Have a new kitchen product/gadget that you absolutely love? Please share! 🙂 Thanks and meet you back on the blog very soon. Cool products!! I love the sink and the pot strainers. Very handy! Oh, I like that silicone strainer. I’ve never seen it before. I really don’t like using my big strainer coz’ I’d have to wash something so huge. Funny thing is, I try to strain my cooking with a fork, of course some pasta do fall down the sink, haha. This is a good invention. Thanks for sharing. Will be getting that. I’m glad you liked these recommendations, Catalina. 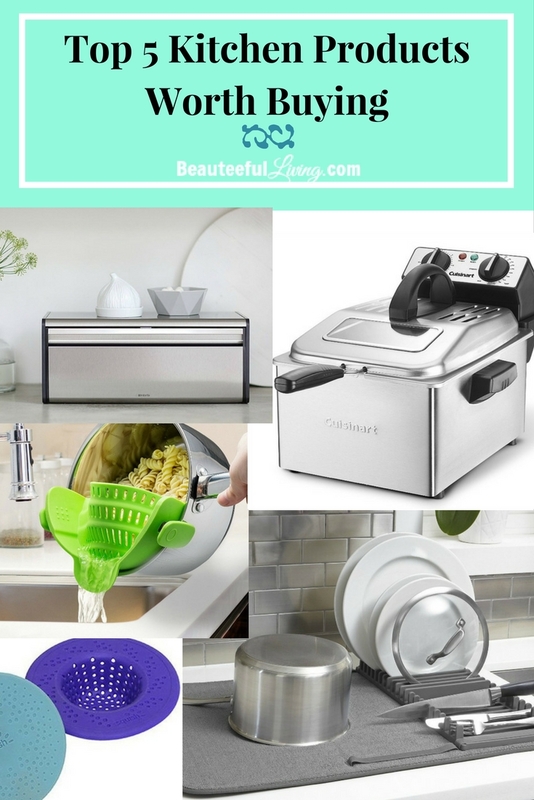 That dish mat with rack and the pot strainer are some of my favorites on this list. Thanks! I would definitely invest in all of them. I’ve had my eyes on a fryer for sometime since I saw my sister with one! I have a bread box and we love it, it actually came with a matching automatic tower paper roller. Hi Lisa, I definitely recommend that fryer. It’s been working out great for us! That’s so cool that your bread box came with a matching automatic paper roller. My husband wants that fryer. WE have had it on our list for a while. Now that I read your review I think I might let him buy it. 🙂 Great list. I love finding items are great for the kitchen. Hi Censie, I think you won’t be disappointed with this fryer. Go ahead…give your husband the “thumbs up” on this purchase. Hehe. I’m really happy with this fryer. Thanks for your comment. My best friend has that exact dish rack. 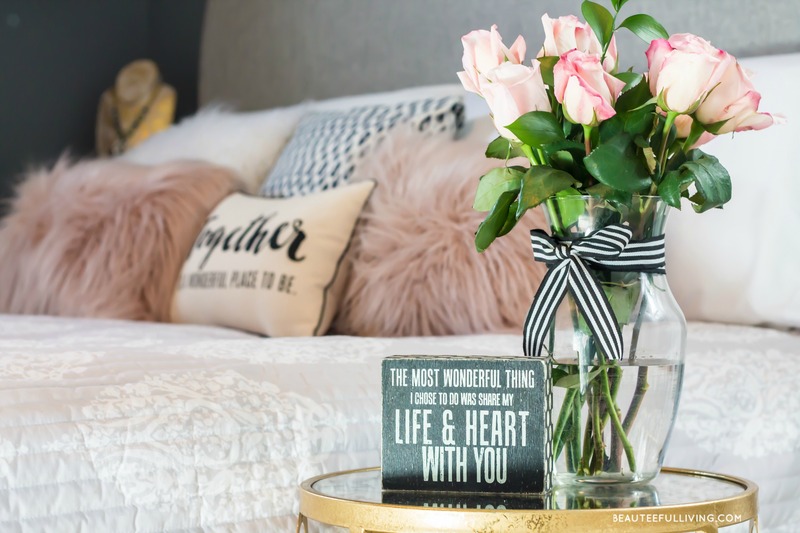 It’s so adorable and such a space saver. My top investments were my tea kettle and cast iron skillet. Oh my gosh, I NEED that strainer in my life! I hate having to wash a colander just for pasta water. The dish mat with rack looks awesome too; a lot easier to clean than a plastic one for sure. Oh yay! I have three of the items you listed! I have a bread box, the rubber strainer, and the drying mat! I love those drying mats! I have two actually. I do not use my rubber strainer as often as I should though! I keep forgetting I have it since it tucks away so nicely lol. I need to use it more it’s really nice and no where as clunky as my metal ones. I am all in for the dish mat. Since my kids dry the dishes I have no more use for the bulky drying rack I currently have. 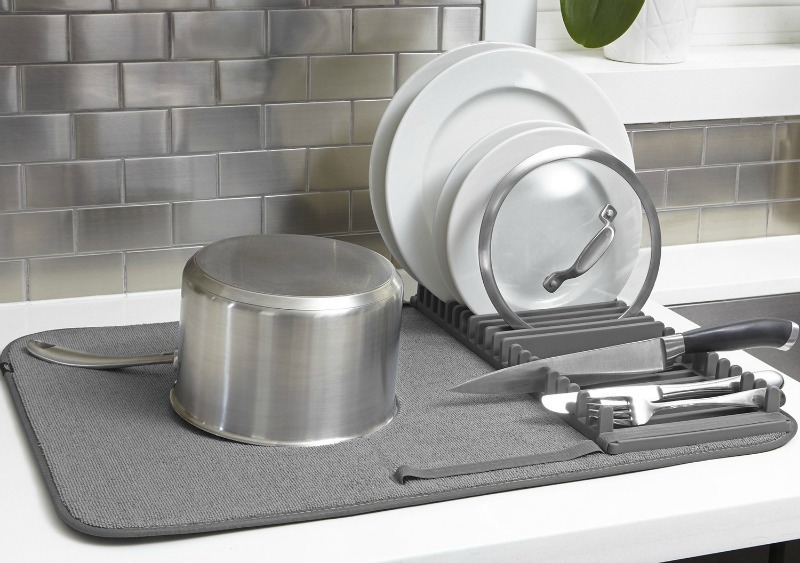 Everything on the list is beautiful and functional, but he drying mat stands out for me! Looks like you’re ready to ditch the bulky drying rack too! Thanks for your feedback, Michelle! I love our new dish mat with the rack option. Just keeps the counter by our sink much more streamlined. No more bulky dish rack on our counter. I’m thinking I need to invest in a bread box. I’ve never had one, and like you, I hate a lot of appliances or things on my counter tops. 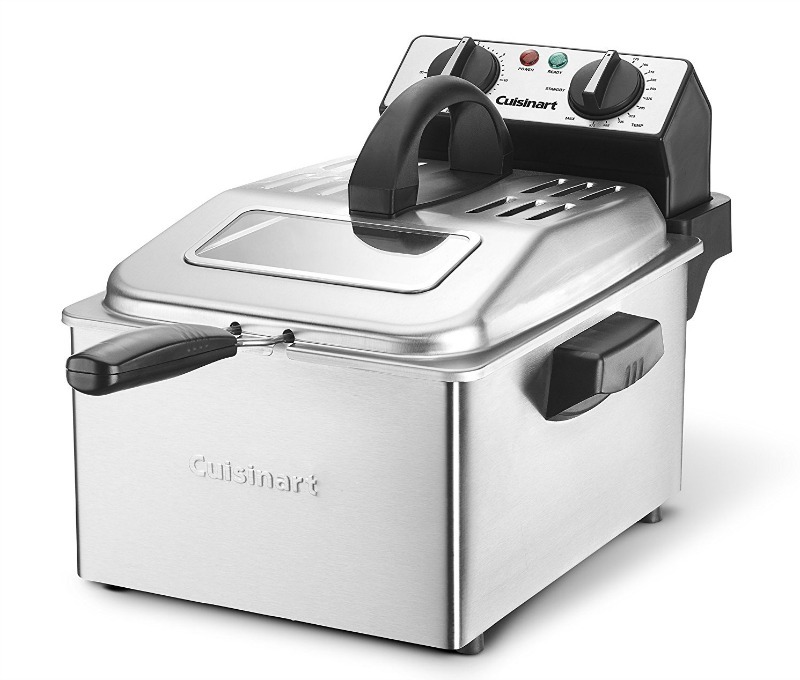 I just bought my first cuisinart deep fryer and love it! I actually looks very similar to the one shown here. The bread box is probably one of my fave products in our kitchen. You won’t regret getting one. And yes, isn’t that Cuisinart fryer awesome? Don’t know why we didn’t get one sooner. This was definitely a good and useful gift. Thanks for your comment!